In a devastating twist, Thanos emerged triumphant in Avengers: Infinity War - but what mistakes did the Avengers make that led to his victory? When Bruce Banner arrived on Earth, he brought news that the stakes were higher than ever before. Thanos was aiming to collect the Infinity Stones, and if he succeeded in his goal, he would be able to wipe out literally half the life in the universe. The Avengers did their best to stop Thanos, and Iron Man even succeeded in drawing blood. In the end, though, their best efforts simply weren't enough. But was this inevitable, or could the Avengers actually have stopped Thanos? It's easy to look back at previous films and imagine how things could have turned out had Earth's Mightiest Heroes made different choices. Would Thanos have triumphed if the Asgardians had secreted the Aether elsewhere, perhaps hiding it in another dimension rather than with the Collector? Would the Avengers have been more successful if they had stayed united, rather than dividing over the Sokovia Accords and the Winter Soldier? All these "What If" scenarios are fascinating, but in truth they're unknowable, because they change the story far too much to say for sure. It's a lot easier to look at Avengers: Infinity War itself, and to ask how a handful of different decisions could have changed the course of history. For now, then, let's take a look at seven key decisions - some obvious, some less so - that could have potentially led to Thanos' defeat. Each one of these choices would have subtly reshaped the narrative, and even saved half the lives in the entire universe. 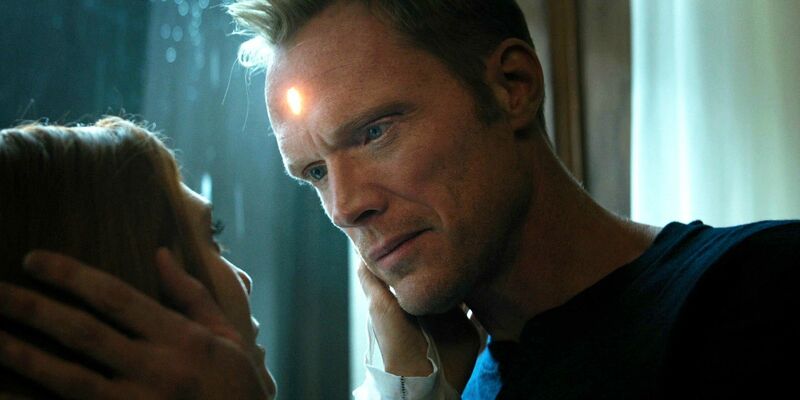 Vision and Scarlet Witch were on opposing sides in Captain America: Civil War, but the tension seems to have helped both realize the depth of their feelings for one another. Broken out of the Raft by Steve Rogers, Scarlet Witch chose not to turn herself in to the authorities. One of the world's most wanted, she learned to hide herself by disguising her accent, and successfully stayed on the run for two years. During that period, though, she stayed in touch with the Vision - and their attraction turned into love. Two weeks before Thanos' invasion, Vision and Scarlet Witch decided it was time to meet up in Edinburgh. Vision turned off his transponder so he couldn't be traced, and headed out to meet Wanda. This was a major strategic mistake, especially given that the Mind Stone began warning Vision that something was coming. Had he not turned off his transponder, Tony Stark could have called Vision and warned him that he was a target. It's highly likely that both Vision and Scarlet Witch would have headed back to New York; Wanda wouldn't have left his side under these circumstances. They probably wouldn't have arrived in time to affect the battle there, given that Edinburgh is over 5,000km away from New York, but they'd certainly have been in transit and on the alert. Corvus Glaive wouldn't have been able to take Vision by surprise, meaning he'd never have been injured - and would have proven a force to be reckoned with over the course of Avengers: Infinity War. Tony Stark's first mistake was not calling Steve Rogers straight away. In truth, this one is inexcusable; Stark knew how high the stakes were, and Bruce Banner had just told him about a foe powerful enough to take down the Hulk with ease. It should have been blindingly obvious to Stark that this was the crisis he'd always feared, and that he needed Steve Rogers and his Secret Avengers. With the Time Stone covered, Steve and his team would have headed to Scotland to warn Vision and Scarlet Witch. They'd have arrived there before Corvus Glaive and Proxima Midnight made their attack, meaning - again - Vision probably wouldn't have been injured. This single decision accelerates the timescale of Avengers: Infinity War. In the actual film, it's reasonable to assume Rogers and his team went to pick up Scarlet Witch when they learned of the attack in New York and Stark's disappearance, so in this scenario they'd be running at least half an hour, possibly even an hour, ahead. Further down the line, that would give Shuri more time to work on the Mind Stone - and potentially extract it from Vision. The decision to proceed to Titan is one of the turning points of Avengers: Infinity War. Iron Man, Doctor Strange, and Spider-Man successfully captured Ebony Maw's vessel, but rather than returning to Earth, they chose to finish the journey and fight Thanos on his home turf. They were depending on the advantage of surprise, but in truth this was a foolish choice, as it left Earth far less well-defended. It's impossible to say for certain how things would have played out had Strange insisted they return to Earth. When the Battle of Wakanda finally happened, the Avengers would have most likely found their ranks swelled by the defenders of the Time Stone, the Masters of the Mystic Arts. It's not hard to imagine the Masters trapping invading Outriders in the Mirror Dimension, devastating the Black Order's armies. On the flip-side, however, Thanos would have arrived on Earth a lot sooner, having dealt with the Guardians of the Galaxy with ease. "We don't trade lives, Vision," Steve Rogers insisted. Ironically, of course, he went on to do just that; how many Wakandans died trying to stop the Black Order getting to Vision? It's easy to understand why the Avengers didn't want to destroy the Mind Stone; doing so would kill one of their own members, after all. But the moment the Black Order arrived at Wakanda in force, it should have been clear to everybody concerned that there simply wasn't enough time for Shuri to extract the Mind Stone. And yet, there was one way the Avengers could have played for time. The Black Order want the Mind Stone, and the Avengers know how to destroy it. They should have issued a simple threat; if the Black Order advance, then they will destroy the Infinity Stone they are on Earth to acquire. This threat should at least have slowed the Black Order down; it's reasonable to assume they'd have focused on trying to find another way to get Corvus Glaive behind the protective force-field, so he could try to use stealth to capture the Mind Stone. It's true this would only have been playing for time; but time was all Shuri needed.